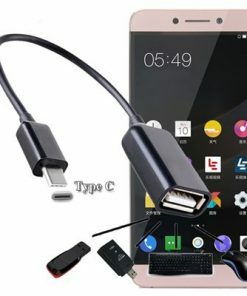 If you have an Android smartphone, you have probably heard about or used the USB OTG to gain access to stored images or movies on your USB drive. 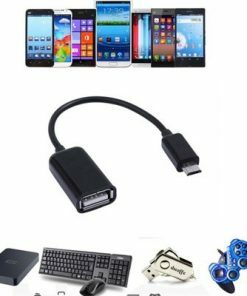 Also known as USB On-The-Go, it is one of the exciting inventions that make it easy to get more memory storage without having a Micro SD card installed on your Android device. This feature allows two devices to effectively communicate with each other – and it is now increasingly common as more and more Android devices are now designed to support this technology. 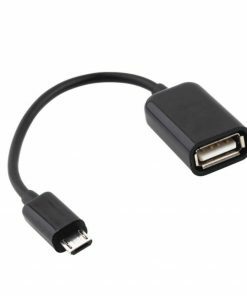 USB On-the-Go is a Universal Serial Bus (USB) based technology that allows your device essentially become a “USB host” by reading data from USB connection. Although the USB OTG feature is now supported by some printers and may soon be available in Microsoft’s Windows Phone 10, it is a standard with Android devices these days. What can I do with OTG? External storage is obviously one of its invaluable benefits. You can start transferring files from your Android device into the USB stick or external hard drive by simply plugging your device to your USB OTG cable. A file explorer can help you perfectly manage your files on the hard drive. Once your device is plugged, you would find a new folder generally known as USBDriveA, although this may vary depending the interface or version of the system. This storage process is a lot better than using a cloud as it does not demand an internet connection. The Xbox 360 is just a perfect fit for Android devices using the USB OTG. Simply plug and you can play games with your controller. Of course, these games must be compatible with a controller before you can use one. The PlayStation 3 controller could also be compatible with your Android device if it is rooted. The open nature of Android devices makes it possible to connect a wide range of stuff to it. It can allow you connect peripheral devices such as a mouse or keyboard, which you can use to control your device. Once your USB mouse is plugged in, you would automatically find a cursor display on your device. This is especially ideal if your touchscreen feature on your phone has been damaged. Like Mouse and Keyboards, printers equipped with a USB plug-in port can work well with Android devices. This means you can easily print your work without first transferring any media files to your PC. You can do more than just transfer file to and fro your USB stick. The USB OTG can actually allow you boost the battery life of another smartphone or transfer files to the device. The connected phone will go into charging mode while the device connected to the OTG adapter will represent the power source.